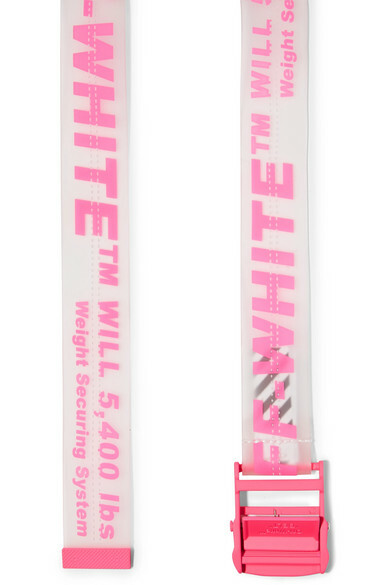 Off-White's logo belt debuted in Fall '16 and has since become a cult item. 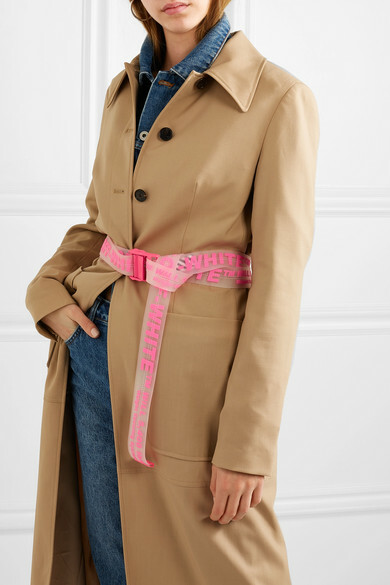 Updated for Cruise '19, it ticks off two of the season's trends: see-through PVC and neon tones. The pink really pops against neutral shades. Shown here with: 3.1 Phillip Lim Trench coat, Off-White Jeans, Off-White Jacket, Sophie Buhai Earrings.